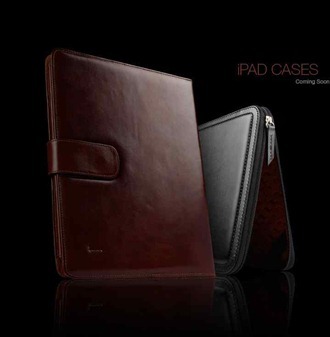 Here’s a smart-looking case for iPad owning book lovers, one that’ll even fit right in on your book shelves at home. 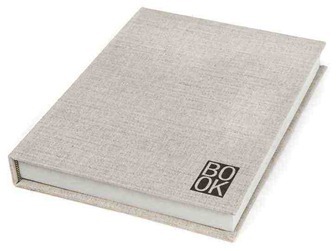 This case is called BOOK for iPad and it’s handmade by ‘a couple of artists’ in Miinnesota. 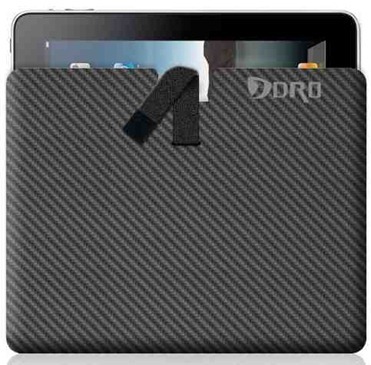 If you’re after a slick, carbon fiber iPad case, you’ll want to give this new case from DRO Concepts a look. 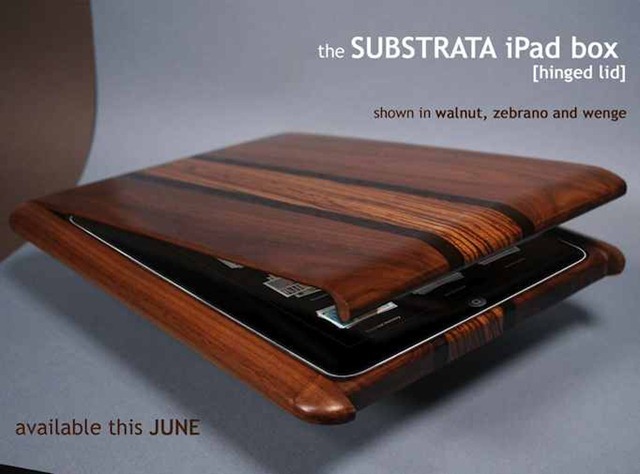 We are very excited to release our new carbon fiber iPad Case. The only real carbon fiber case available for the Apple iPad. Utilizing a proprietary lay-up of real carbon fiber that is not only incredibly strong but also ultra light (weighs 0.4 lbs). Like all of our carbon fiber products this case is crafted entirely by hand and provides a beautiful high gloss finish. Exotic yet sophisticated styling is topped off with an intelligent design that allows for easy access to the iPad while providing maximum protection. Each of our carbon fiber iPad cases is lined with supple neoprene for additional impact and scratch protection. Just slide the iPad in, close the secure strap, and you are on your way with one amazingly protective and sharp looking case. The iPad case will fit both the Wifi and 3G versions of the Apple iPad. Sena Cases are known for some very fine leather and some lovely cases for iPhone and other mobile devices. I’m glad to see they’ve got iPad cases coming soon as well. There’s not much detail on these available as yet – other than that there will be 2-3 styles initially and that they’re coming soon, possibly as soon as April. Ummm. They may always be in the upper pricing tier, but Vaja cases are alwa ys luscious to look at. Their upcoming range for the iPad looks like no exception. I can’t get their site to show me details on all the models shown above, but the couple stripy iVolution style and the brown vertical carrying one all look very, very nice to me. The other one – with the green stripe – is the Retro Slim Jacket, and will go for $120 before any customizations. There is always a fair amount you can customize on Vaja cases, from colors to personalizations and so on. 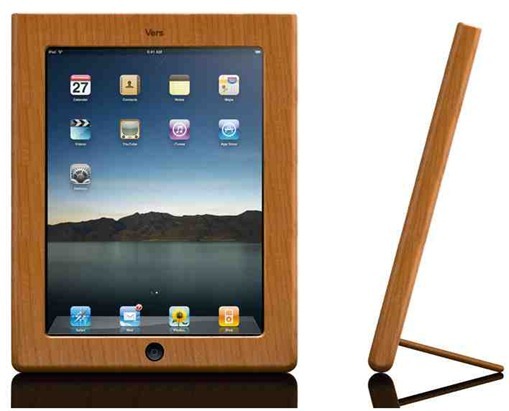 Vers iPad case is handcrafted from locally sourced and managed hardwoods like Eucalyptus, Pine wood, and also bamboo. These cases are each unique and stunningly beautiful and guaranteed to draw envious looks from their natural texture to their warm color. For every tree that is used in making these cases Vers has a partnership with Arbor Day Foundation to replant 100 trees where they are most needed (click the link to see how you can help too). Striking looking (especially if you’re into wood cases for your mobile devices), and with some solid green principles behind it, this Vers Audio Bamboo iPad Case looks quite interesting. Hard Candy Cases, a recent entrant into the Apple accessory market, announced today a new line of cases designed for the iPad. 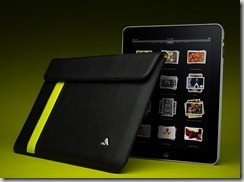 The distinctive line of cases will debut in March, timed to the iPad sales launch. “Unique to Hard Candy Cases, all of our designs – even the hard shells – feature rubber bumpers that are crafted to add premium protection, look cool and also allow us to start the expensive tooling process now, before the final iPad is available to measure,” said Tim Hickman, CEO of Hard Candy Cases and former GM of Speck Products. I’m still not feeling burned out on seeing new iPad cases and accessories news each day – maybe because I don’t feel like I’ve seen ‘the perfect case’ for me just yet, and also because I think there’s still lots of scope for new and creative accessories for the iPad. I’m seeing announcements of new cases and accessories for the iPad more and more frequently just lately. Here’s one that caught my eye yesterday when my friend Dan mentioned them over at Gear Diary. 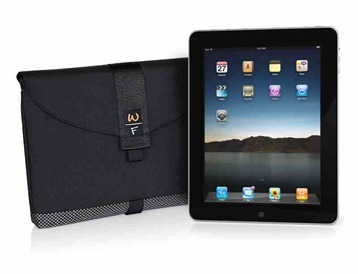 It’s the Ultimate iPad SleeveCase from Waterfield Designs, and it looks quite sleek and attractive to me. I especially like that you can choose whether you want the case in horizontal or vertical orientation. 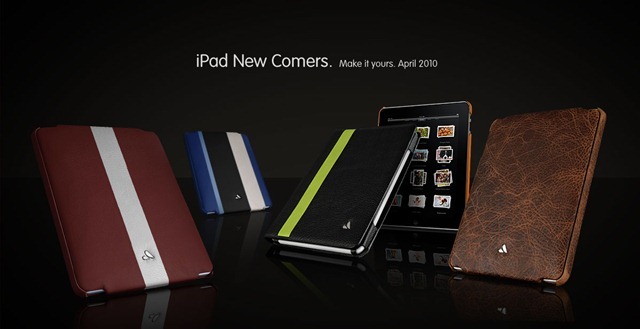 Incipio has a set of cases for the iPad coming soon, including the NGP Matte case shown above. 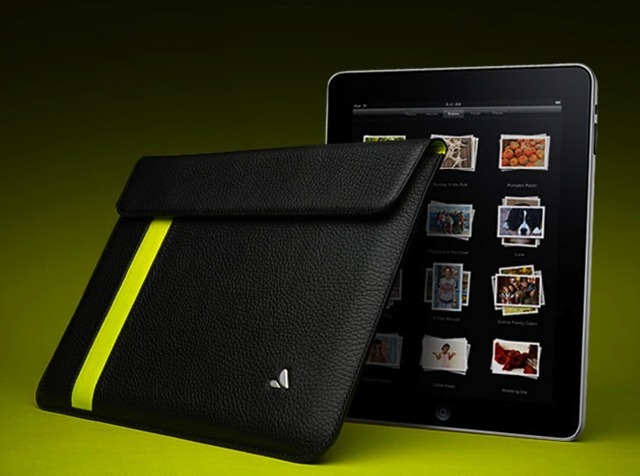 The NGP Matte is an ultra thin, soft and impact resistant carrying solution for the Apple iPad. Made from a semi-rigid next generation polymer that is tear and elongation resistant, the NGP Matte is sure to be a lasting addition to your Apple iPad. This one looks pretty nice to me, if you’re after a back-only case for the iPad. It’s compatible with both WiFi and 3G models and comes in four colors (Cerulean, Sage, Aubergine, Confetti). For details on Incipio’s other iPad offerings, check out this iLounge post. We know we can get our hands on the new iPad in around two months time. Now we’re going to need some accessories for it. And cases are generally right around the top of the accessories list for mobile devices. So it’s good to see some accessories manufacturers already announcing some iPad products. Griffin Technology – a well-known name in the accessories arena – has got a nice little selection of iPad cases and a screen care kit listed as coming soon / Spring 2010.